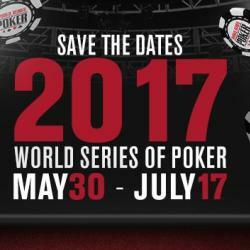 The World Poker Tour is returning this summer for WPT500 with a guaranteed prize pool of $2 million. The success of the 2014 event has no doubt created even higher expectations from this year’s WPT500 event beginning on the 31st of May, 2015. Like the previous year, this year too ARIA Resort & Casino is hosting the WPT500 event. The buy-in for the tournament is $565. The previous year, the prize pool was about $1 million due to 3500 entries. This year everything is bigger compared to the 2014 event and this must make both organisers and the participants happy. The starting flights number in 10. The first one is on 31st May and then the rest are spread over the course of the next few weeks; ending in July. The flights are scheduled for three different weekends; making it convenient for all. The final flight is on 5th July and the final table set for the next day. In more exciting news players can make one re-entry every day and even play multiple flights. ARIA Resort & Casino is all set to host the WPT500 this year. The amenities at Aria are great and this adds more thrill to the event. Players from all across the world are gathering for the event and ARIA is all set to up the excitement ante for them. The casino is not only hosting the event but also holding giveaways. On the 1st of May, the casino is rewarding one seat directly to the event for one lucky player. In the days before the event both the hosts and organisers are holding various events so that more and more players are able to participate in this year’s WPT500. There is satellite coverage at the event so fans can watch the tournament live from anywhere in the world.